This terrific wooden boat, designed by David Roberts, was built by my husband, David T. Bickel, for a fishing and dive boat around the Fort Myers Bay. We made a slide show of the building of, and the story of, Sarah Jane. This fun boat is suitable for anything from island camping to offshore fishing. 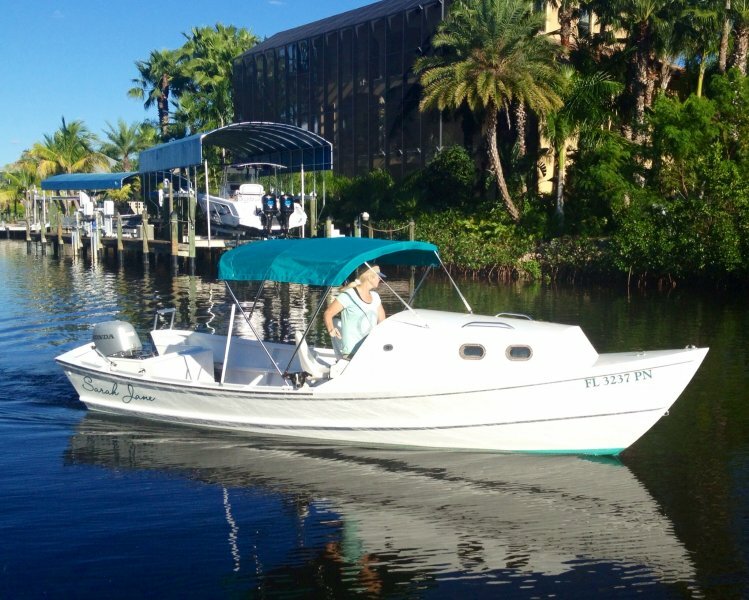 This 21′ Dory is our most popular boat, and for very good reasons. She’s an economical, beautiful, versatile craft, and she’s big enough to handle the worst weather you’ll encounter in inland waters.